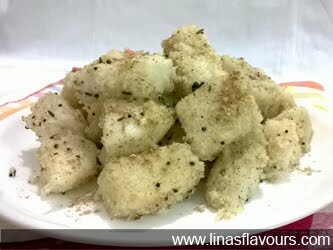 Cut idlis into pieces. Take a bowl. Add mint paste, ginger-green chillies paste, panipuri masala, 1 cup water and mix it well. Take oil in a pan and get it hot. Add mustard seeds, cumin seeds, curry leaves. Add idlis and stir it. Add mint puree and mix it well. Let it cook for 3-4 minutes. Sprinkle some panipuri masala on the top and serve it hot with tomato ketch up or green chutney.